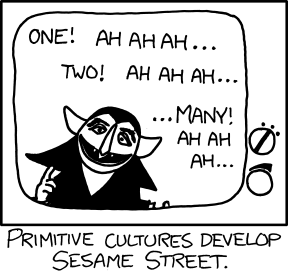 Cue letters from anthropology majors complaining that this view of numerolinguistic development perpetuates a widespread myth. They get to write letters like that because when you're not getting a real science degree you have a lot of free time. Zing!